I decided the team needed bagels yesterday. Maybe it was because i wanted a bagel. 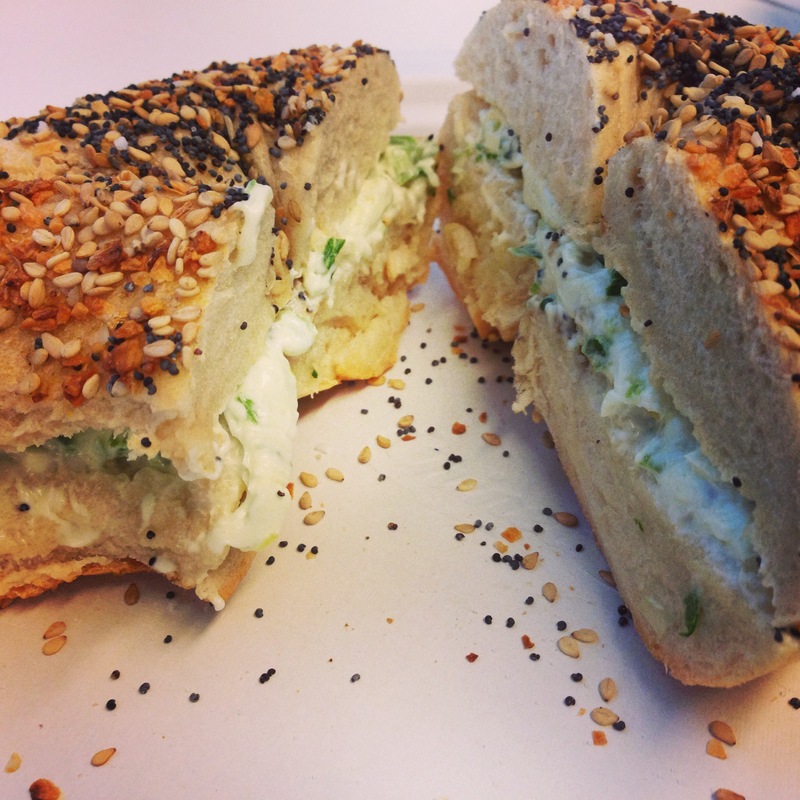 I got up early, found the Ess-A-Bagel on 3rd Ave near the office (after walking by it), and ventured in. I knew this was going to be stressful. It’s a NY institution and they are no business. They already had bags of bagels ready to go to the offices in Midtown. I was directed to the back int his narrow space and picked out my 18. When I went to check out, the guy at the cash register didn’t believe I just had 18 in the bag. The bag doesn’t fit 18. Do I look like I’m trying to rip them off a bagel? I probably didn’t even get my baker’s dozen. I even brought a bread knife and 2 real knives for the cream cheese so I didn’t have to watch people hack the bagels with the plastic knives. Oh, and the bagels were delicious. They were warm, and crusty on the outside. And chewy on the inside. The cream cheese got all soft. Oh my god, it made my morning. Next > NYSE Closing Bell!